Stop everything you’re doing and grab your bridal notebook! 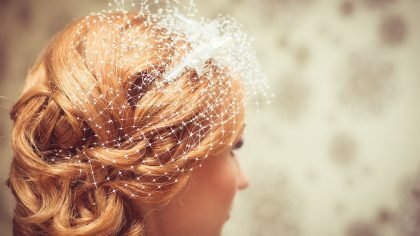 We caught up with professional Make Up Artist and Max Factor Brand Ambassador Lyndsey Cavanagh to get the low-down on everything you need to know about prepping your skin ahead of your special day. 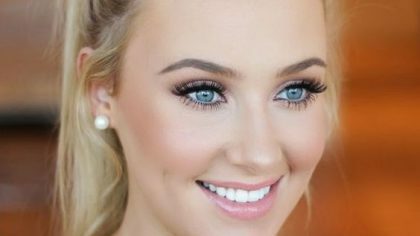 Nominated for Best Make Up Artist in Image Magazine’s 2016 Beauty Awards, Lyndsey shares her tips, tricks and must-have beauty products to help you achieve a gleaming bridal glow. How long before your wedding should you start preparing your skin? A good skin care regime for me is always a necessity as I want my clients skin to look healthy and youthful. As you draw closer to your wedding day there are definite additions you can make to your routine that will add super benefits to your skin, and allow your complexion to glow with radiance on your wedding day. Dermalogica Multivitamin Power Recovery Mask is a powerful product that is packed with protein to repair any environmental damage present on the skin’s surface. It is suitable for use all over the face, including around the eyes (without causing puffiness), over the lips and down your neck. In the final 8 weeks leading up to your wedding, use this face mask three nights a week and don’t remove it, simply apply a fine layer and wear it to bed. If you suffer with dilated or blocked pores especially in the T-zone area then steam your face for 10-12 minutes before applying the mask. This will help to draw out and eliminate impurities whilst repairing, hydrating and nourishing your skin. If you wear any tanning products on your face please check that the tanning product is non-comedogenic (does not cause blocked pores) before using it, otherwise it will lead to blocked and enlarged pores. What beauty regime or preparation would you recommend and what’s a good product? During the run up to your wedding try to do a salt scrub at least 1 – 2 times per week depending on the sensitivity levels of your skin. For this you can use regular sea salt or I also love Dermalogica Mineral Salts (amazing as a whole body scrub as well). Mix the salt with a carrier oil such as Jojoba or Grapeseed oil, which are non-comedogenic and are available in most chemists. The mix should have a paste-like consistency, so don’t add too much oil. In the shower or over your hand basin massage the paste onto dry skin for a couple of minutes and remove with a hot, wet face towel. This will exfoliate and re-hydrate your skin, keeping it fresh, bright and super smooth. It is also essential to use an eye cream day and night as a protective and repairing treatment. I will not be without my NeoStrata Eye Cream PHA 4 as it has an intensive re-surfacing formula which targets and treats areas of concern such as fine lines and wrinkles – it’s also great for dehydration lines and gives a supple appearance to the eye area. You can also apply it gently over your make up if you want to create a soft-focus blurred effect… very flattering! Elizabeth Arden 8 Hour Cream or Oil has found its way into every professional make up artist’s kit and for very good reasons. It is a fantastic multi-tasker and a product everyone should invest in. Use it on the nails and cuticles of your hands and feet to keep them soft, healthy and prepared for their close up, great as a nourishing lip balm, it’s extremely nourishing as a night cream and can be used as a barrier cream when tinting or applying self-tanning products. 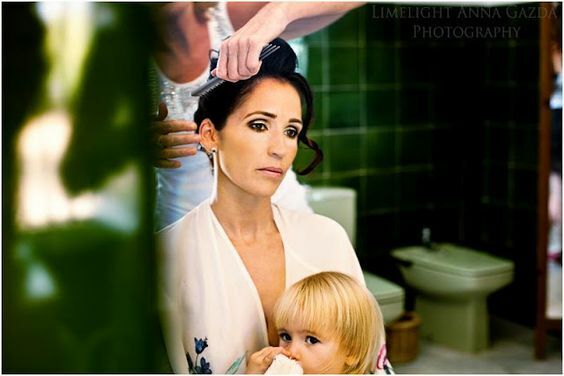 A blemish just before the big day is every bride’s worst nightmare! What are your fail-safe remedies and products to combat an angry spot? Blemishes always seem to rear their ugly head at this time and it can be due to stress or hormonal levels. Benzoyl Peroxide is a very effective solution to any break out and can be found in many over the counter products such as Clearasil and Pro-Active at levels of about 2.5%. For targeted use I recommend Tea Tree oil especially from the Doterra range as these are the highest grade pure essential oils available on the market, due to their purity (one drop of their peppermint oil is the equivalent of 20 peppermint tea bags) it is best to first dilute one drop in a little water and apply directly to the blemish at night, it has great dehydrating effects and is also anti-bacterial. Pure Lavender Oil may be applied in much the same way every morning for its repairing and healing effects. Most importantly never overdo it with acne or blemish treatment products as this will lead to dry, dehydrated and aggravated skin. Always keep their use to a minimum. Toning your skin with pure Rose Water morning and night will really help to maintain and regulate your skin’s natural PH balance and hydration levels. Should brides choose tanning bed sessions as an alternative to fake tan? Tanning bed sessions are a controversial subject. As a MUA, I much prefer to work with a bride’s natural skin tone rather than the tone created by a fake tanning product. For a lot of destination weddings, most of the bridal party arrive a week in advance to avail of the opportunity to develop a natural glow. However, if you are choosing to hold your wedding during the autumn/winter season but would prefer a natural tan, then do allow yourself time to build your colour gradually through the safe and responsible use of tanning beds. When working with your natural colour, I can then enhance it with the use of liquid bronzing and illuminating products such as my Giorgio Armani Fluid Sheer applied to face and body to impart a golden glow, or for those with fair skin who find it difficult to tan, I use MAC Face and Body to create a natural looking all-over-tan whilst leaving your skin looking luminous and dewy. What advice would you recommend to improve overall skin clarity before the big day? For overall skin health, I recommend Omega 3 Fish Oils. One to be taken daily in combination with Vitamin D drops (two drops per day) and Vitamin C. These are great for your immune system and anti-oxidant support, healthy skin has to start from within. After every bridal trial, I forward product recommendations and guidelines which are specific to each client and the look they have chosen for their wedding day. This means that brides can purchase any essential products they wish to have to hand throughout the day to keep them looking flawless. Name one beauty product you can’t live without when doing a wedding photo shoot? For my work on photo shoots, I simply could not live without Super Sealer by Cinema Secrets!! This is a matte surface sealer applied after make up application. It acts as a sweat inhibitor whilst creating a waterproof and protective barrier. Definitely a necessity during those hot summer months but also great for long days when you need to keep your make up in place – perfect for your wedding! 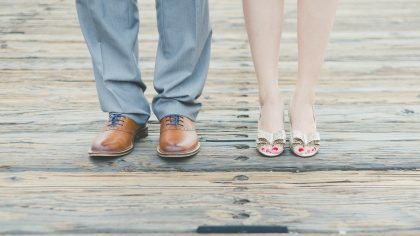 Huge thanks to Lyndsey for guest blogging and sharing her amazing tips and advice for brides-to-be. Check Lyndsey out on Facebook, Instagram or see www.lyndseycavanagh.com for more information. Blog images all from Lyndsey’s extensive portfolio. Based in The Hive Beauty Salon, 58 George’s Street, Dublin City Centre, Lyndsey travels to brides nationwide on request and has also covered countless destination weddings throughout her successful career.